Lürzer's Archive - Stand for the Silent Inc. Stand for the Silent Inc.
Not all injuries fade over time. Stand for the Silent to end cyberbullying. 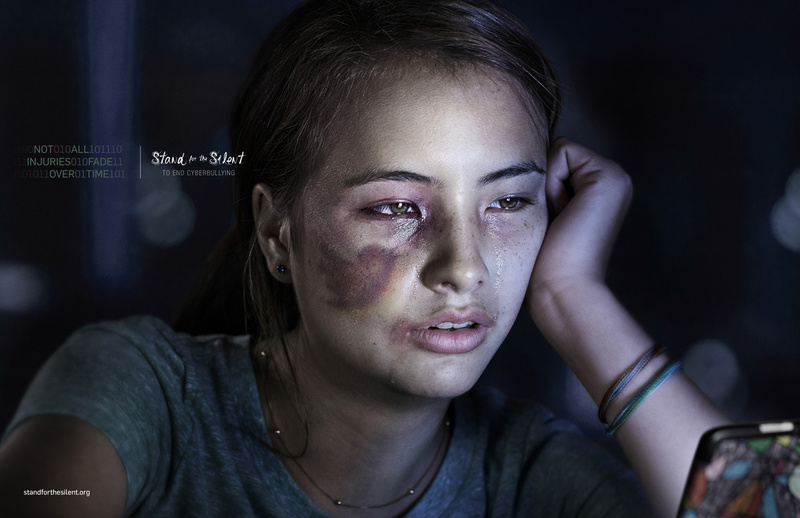 Campaign sponsored by Stand for the Silent, an anti-bullying organization.